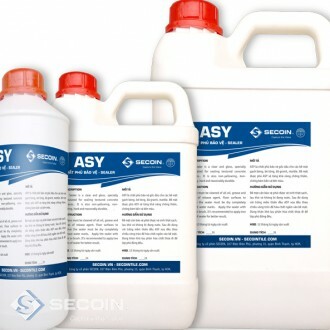 Besides tiles products, Secoin also provide the chemicals used for these product lines such as: ASY Sealers, Nano products, abrasives for tile and stone ... 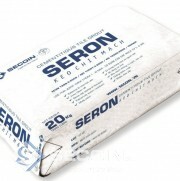 These are high-grade raw materials which have been tested for many years to show that they are suitable to Secoin tiles as well as other similar products. 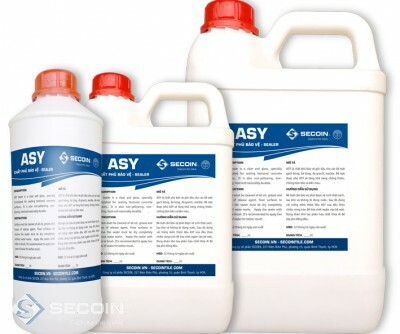 ASY Sealer is a clear, single component, solvent-borne acrylic sealer specially formulated for sealing textured concrete surfaces. 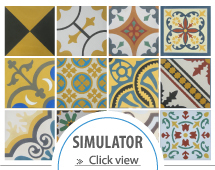 It can also be used for other stone and cement-base products such as slate tiles, manmade stone, cement pavers, wash pebbles, terrazzo and other old and new masonry surfaces. The sealer is fast drying and can penetrate 1 to 2mm into the surface to provide an aesthetically attractive look to the coated surface. 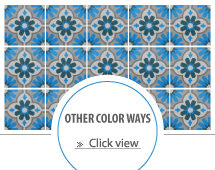 It has good alkaline, fungus, stain and UV- resistant properties and also capable of resisting mild acid attack. It is also non-yellowing, non- dusting, hard and reasonably durable. - Surface must be cleaned of all oil, grease and traces of release agent or curing compound. Also, floor surfaces to receive the sealer must be dry completely without water marks. Apply the sealer with roller or brush. Though one coat of sealer is normally sufficient to protect the surface, it is recommended to apply two coats of sealer for better result. For application on smooth cement surface or for spray application, it is recommended to dilute the sealer with an aromatic solvent such as Xylene or Toluene up to 100% to 150% and apply minimum 2-3 layers. - Wash with detergent and clean regularly. 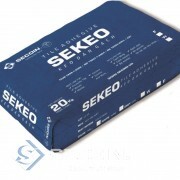 It is recommended to reseal the surface every 12-36 months depending on the usage conditions and volume of traffic. - Approximately 4.0 m2 per litre per coat. - The product should be used with adequate ventilation. Prolonged breathing of the vapor and contact with eye and skin should be avoided. Keep container closed when not in use. Do not store or use near heat or flame as the product contains petroleum distillates. Harmful if swallowed. - All data contained herein are based on the best of our knowledge to be reliable and correct, but accuracy and completeness are not guaranteed and are not to be construed as a warranty, either expressed or implied. User shall rely on his own tests and information to determine the suitability of the product for the intended use and assume all risks and liabilities resulting from the use of the product. Neither the seller nor the manufacturer shall be liable to the buyer or any third party having any injury, loss and damage directly or indirectly resulting from the use or inability to use the product.